If you want to know what it really takes to be a bass player, you’ve come to the right place. The first thing to note is that the bass is one of the most important instruments in a band. If a band was like a cruise ship, the bass player would be the captain, expertly guiding the ship, keeping it on course and always afloat. Sounds pretty cool, right? But, in order for a bass player to reach that level of responsibility and influence, they have to put in the work. And so will you! Luckily, we’ve already done some of the work for you. 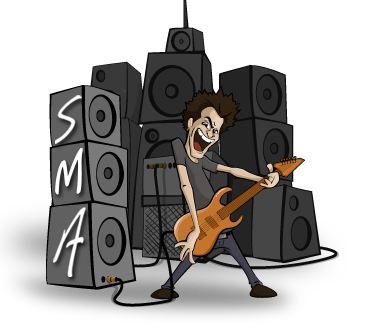 Based on our experience, both as instructors of bass lessons in Phoenix and professional musicians, we here at Scottsdale Music Academy know the dos and don’ts of bass playing, and we’ve whittled it all down to three major nuggets of knowledge. Below are the most important skills bass players should know in order to go from good to great. Perfect these three skills and we guarantee you’ll see a huge difference in your bass playing in no time! Without a doubt, the heart of bass playing is meter and rhythm. A bass player who doesn’t know how to keep meter or stay on beat is like a goalie who leaves the goal wide open during a game. In other words, meter and rhythm are core components of playing the bass, and bass players should excel in both these areas. Without possessing these skills, a bassist isn’t fulfilling his or her duties to the fullest. One of the most basic functions of a bass is to bridge the gap between different instruments of an ensemble, which is why bass players must have a good handle on meter and rhythm. The bass links the harmony with the rhythm, helping to tie the various sounds together into one beautiful, harmonized unit. Even though keeping time is absolutely critical when it comes to playing the bass, most bass players don’t naturally possess this ability. The good news is it’s something that can be learned; the bad news is it takes lots of practice and discipline. But don’t let that stop you! Becoming a meter and rhythm whiz is absolutely attainable…all you need is determination (and a few bass lessons couldn’t hurt, either)! Second on the list of important skills bassists should possess is a deep understanding of music theory. These days, some musicians tend to brush off music theory, but we’re here to tell you that it’s more significant and useful than you might think. For those budding musicians who are unfamiliar with the term, music theory is the study of music, its elements, and its written form. Knowing how to interpret what’s written on a sheet of music can dramatically help guide your playing. Not only does understanding all the basic components of music make following what’s on the page easier, it enables bass players to step outside of the box and get fancy with their fretwork since they have a solid music base to draw from. Without a strong grasp on music theory, a bassist is less likely to be able to expertly adapt music and add their own flair. And without that, a band loses its groove! Last but not least, a good bass player must possess “big ears.” No, we’re not speaking literally! The term “big ears” is used to describe those who are extremely attentive and aware of sound and all the various musical elements occurring simultaneously. Bass players need “big ears” so they can quickly spot any problems and course-correct the band. Being intently focused on the sound also makes it easier for bass players to be prepared for what’s coming next, such as rapid chord or key changes. Ideally, a bass player should possess these three essential skills and master the techniques. If you’re not there yet, don’t fret! 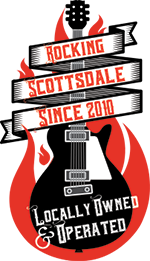 Sign up for our bass lessons in Scottsdale and we’ll help you improve your bass playing skills and become a standout bass player!